The Swiss made Naneos Partector is the world's smallest nanoparticle detector and is now being offered through Europa Environmental. It is based on a novel non-contact electrical detection principle which needs nearly no maintenance. For nanoparticles, it measures lung deposited surface area (LDSA), a metric typically associated with adverse effects on respiratory health. The detector is miniature and lightweight making for a truly portable personal sampler. Measurements taken with the Partector are hassle free and result in an ergonomic experience. Battery life is exceptional, start up time is minimal, and the device can be used in any orientation. In addition to the Partector's ease of use is its ability to provide sampling and LDSA measurements over a wide range of particle sizes. The device is battery operated and self-contained with a removable SD memory card, and can be charged over a standard USB cable. It has a color display with system status, minute, hour and day values plotted in real time. It can be used for workplace sampling. A second version has a sample port for collecting nanoparticles onto standard Transmission Electron Microscopic (TEM) grids for later analysis and examination of the collected matter. For inhalation toxicology studies, an OEM version allows for an external pump and real time data to control nanoparticle exposure generation in instruments like spark generators. It can also be adapted to sampling beside other instruments. Pegasor Urban measures ultrafine particles from 10 - 3000nm (3 microns) by diffusion charging technology and providing particle number, mass concentration and lung deposited surface area outputs. The urban is network ready, self contained and does not require a shelter or air conditioned environment to operate. Pegasor IAQ is an Indoor Air Quality unit based on similar diffucsion charge technology to the Pegasor Urban. 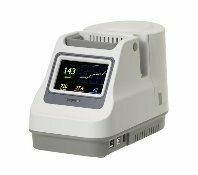 It also provides particle counting, mass and surface area, plus CO2, temperature and humidity. Ideal for optimising indoor air quality and comfort settings.